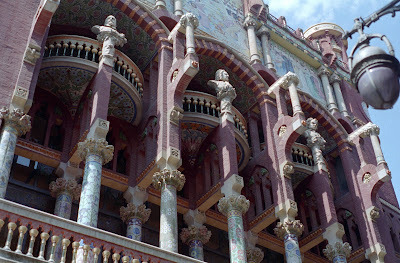 I took this picture of a very cool building in Barcelona a few years ago and now I can't remember what it was. The opera house? A government building? I'm pretty sure it wasn't a Gaudí. Can you identify it? Go to Debbie Dubrow's blog at DeliciousBaby.com to see lots of other interesting travel photos. Can't help you out, but wow! what a building. @wandering educators: I did a google image search too and didn't come up with what you did! I think that's it! Thank you!! Great photo! I'm glad you have discovered the moniker. I am glad I am not the only one who takes pictures of great buildings and then wonders where I was when I took it. 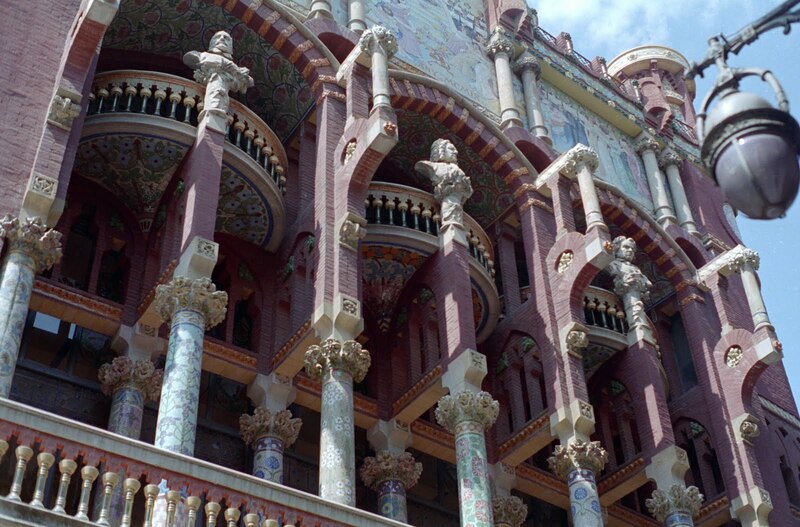 Barcelona has such fabulously cool architecture. Great picture. Amazing architecture. I really love how Barcelona was built. I think it is one of the most romantic and gorgeous city in the world. As a matter of fact, I will be going to Spain next month with my family. I worked two jobs for these first class airline tickets. I am looking forward in seeing this amazing paradise.